This school year, Portage Township Schools has hosted two elementary robotics tournaments, most recently at Aylesworth Elementary School. A number of Portage teams from multiple elementary schools came out on top and received awards for their performances at the Feb. 9 tournament. The Aylesworth Firebots took home the “excellence” award, which is the highest award presented in the VEX IQ program. Teams who receive this award “excels in many areas and is a shining example of dedication, devotion, hard work and teamwork.” This team is committed to quality in everything they do, and deserves to be recognized for their work in a quality robotics program. The team also won the “Robot Skills Champion” award for their scores in the Driving Skills Challenge and the Programming Skills Challenge, which was the highest of all the teams competing. 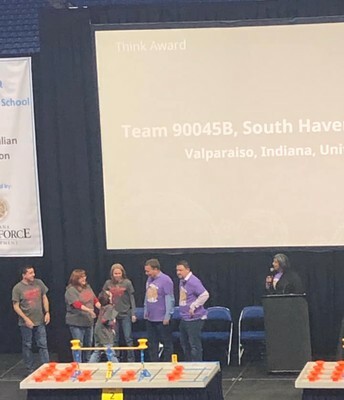 The Firebots also left the competition with the “Teamwork Champion” award, which is presented to the two-team alliance that earned the highest score in the teamwork competition. They partnered up with the South Haven Techno Team B. The Aylesworth Mega-Elite team also left the competition with a victory, as they won the Design Award. The ‘Design” award is given to the team who produced an engineering notebook with clear and complete documentation of the robot design process. The team received this award for their outstanding resource and time management skills. 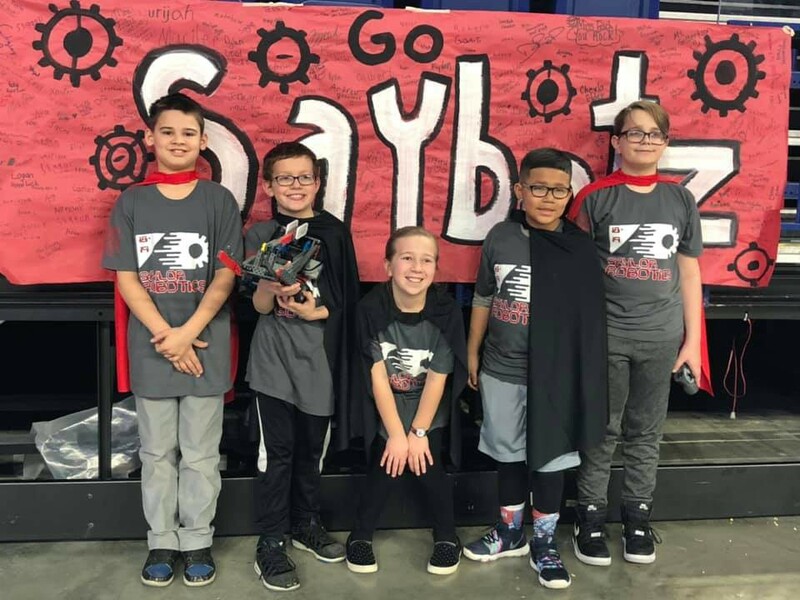 The Aylesworth Electrobots won the Judges Award, which is presented to the team that the judges think is deserving of special recognition. Lastly, the Aylesworth Mega-Elite won the STEM Research Project Award for their effective research project presentation and demonstration of a significant depth of understanding of their research topic. 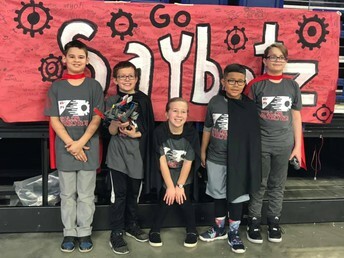 Several elementary teams from Aylesworth, Saylor and South Haven elementary schools qualified for the State tournament at Lucas Oil Stadium in Indianapolis on March 9. 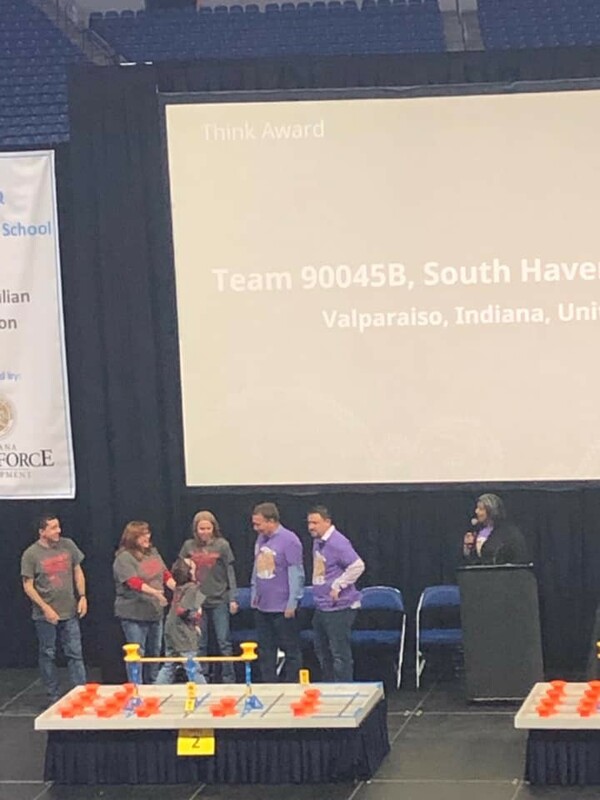 South Haven received the Think Award during the competition and qualified for the Worlds competition in April. Congratulations to all of our elementary teams on another great season! The Natural Helpers mentor group is a social emotional learning group that takes place during Tribe Time. All student mentors are juniors and seniors selected by teachers, and demonstrate compassion, kindness, reliability and responsibility. The mentors are then paired with a freshman or sophomore class Tribe time. 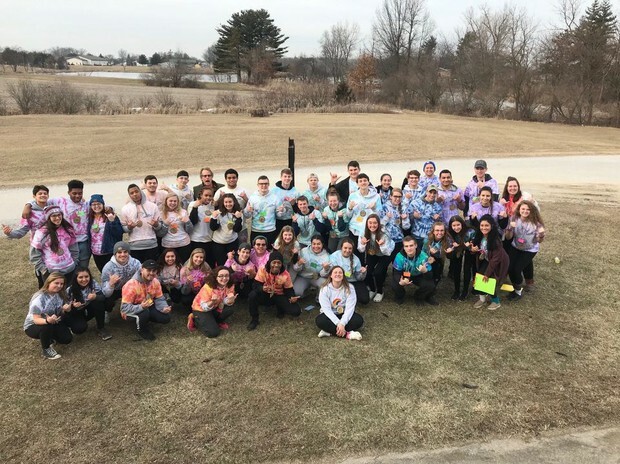 “That junior or senior ideally spends the next two years with their Tribe Time class, serving as a mentor once a month,” said Natural Helpers sponsor Jodi Newby. During every Tribe Time, excluding the once a month students visit their classes, the mentors will get together to create and practice a lesson plan for their next visit. The plans are created by the sponsors, but often are heavily influenced by the students’ opinions and ideas. The lessons include games, team building activities and other plans that get students working together to help improve their basic skills. The students often build personal relationships with the students to help with personal situations as well as educational ones. Newby added that she has heard lots of positive things about the program from the sophomores she teaches. 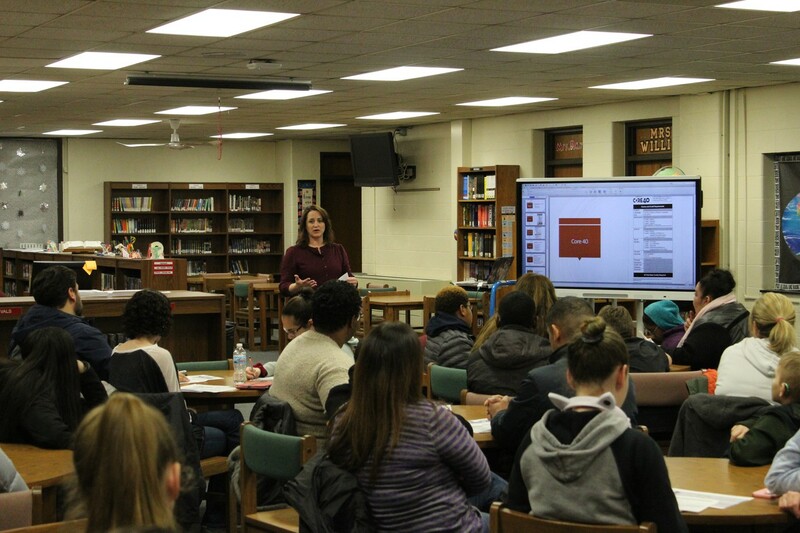 Providing individualized educational experiences for students is the goal of Portage Township Schools, and a group of students at Portage High School have been receiving their education in a new program that allows them to learn in a way that works best for them. that serves as an alternative school and credit recovery opportunity for students. The original main targets for TRIBE were to recruit students that may benefit from a shorter schedule that allowed for more individualized attention. Tammy Jones, one of the co-teachers for TRIBE, mentioned that with the implementation of this program, it was easier to build relationships with the students and set them on the right path to graduation. “The program includes a general ed teacher, special ed teacher and a mentor. With this setup, it is easier to get to know the students and their families. It helps the students get closer to completing credits for graduation,” Jones said. TRIBE’s main goal is to help students get on the track to graduation at a pace that works for them. For example, new students that are enrolled later in the year can be part of TRIBE to get caught up on the lessons that they had not been a part of. The seniors that are in need of credit recovery can also work on their courses without feeling the pressure of the possibility of not completing the necessary work to receive their diploma. Students work on a program called Edmentum/PLATO, which allows them to complete around eight lessons a day. If students stay on this path, they can complete an entire course within three and a half weeks. 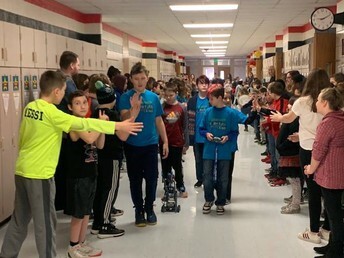 In order to motivate students, Jones and co-teacher Krystal Kuehl work to make the environment as positive as possible. “Mrs. Jones and I strive for a positive environment to keep the spirits of our students high. Some of them come from challenging situations, school or home,” said Kuehl. With the recent advancements in TRIBE, the teachers involved in this program mentioned that they wanted to thank all of the administration and other teachers that helped make this program become as successful as it is today. 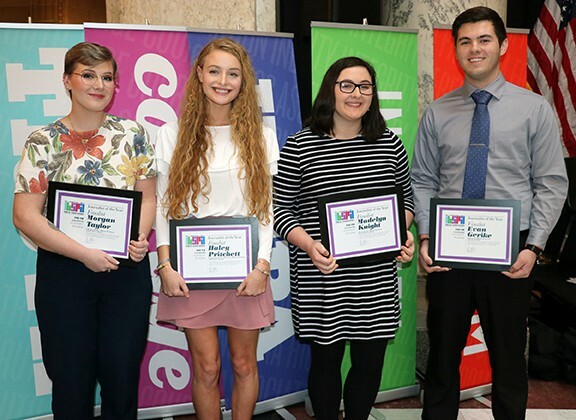 Portage Township Schools would like to congratulate PHS senior Evan Gerike on recently being named one of four finalists for Indiana Student Journalist of the Year. 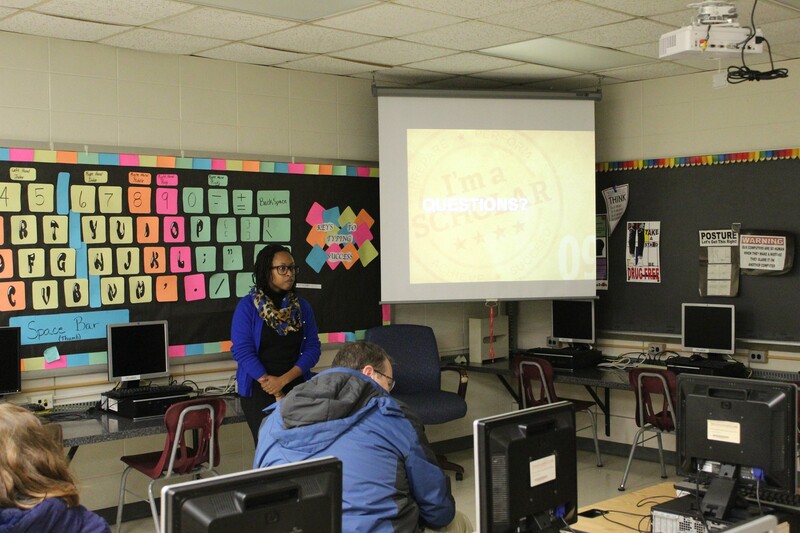 Evan built and submitted an extensive portfolio detailing his career as a high school journalist and was selected as a finalist by the Indiana High School Press Association. He was recognized for his achievements at the Indiana State House on March 14. Evan is a four-year member of the journalism program at Portage High School. He has served as a staff writer and web editor of the newspaper, and he is a public relations intern for the district. Additionally, Evan is a member of the Natural Helpers staff, National Honor Society, Student Council, tennis team, and baseball team. Next year, Evan will study journalism at Indiana University, where he has been accepted into the Ernie Pyle Scholars program. Congratulations, Evan! 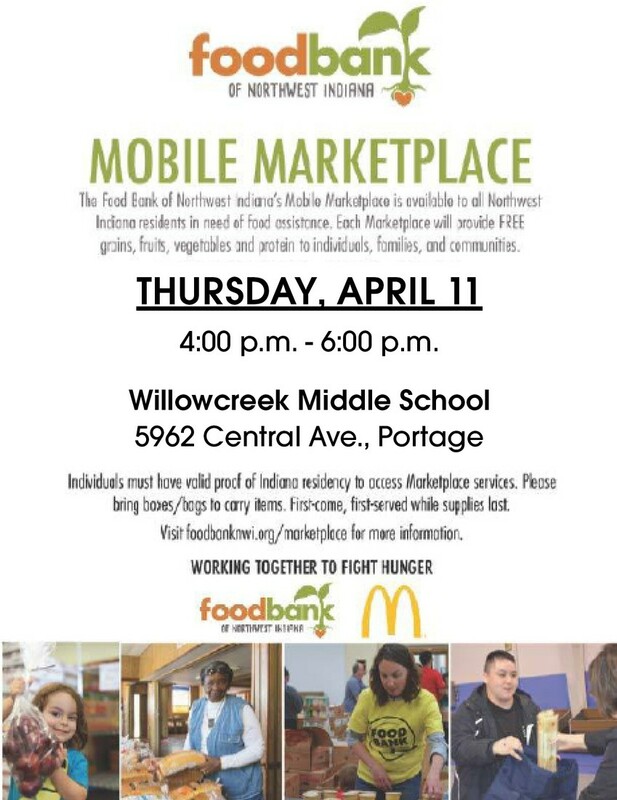 The Community Partners program put in place by Portage High School is a state-granted program that is run by Dunebrook, and organization dedicated to building healthy and happy families. The organization provides a number of services to families, including providing support in setting goals and connecting them with resources throughout the community. Portage Township Schools Director of Student Achievement and Innovations Robert Wilson said that through this grant, Dunebrook assists families in securing resources, including mental health services, homeless shelters, domestic violence support, health care organizations, hospitals, food pantries, workforce development, neighborhood and community action centers, schools, and youth serving agencies, which will then assist the family with overcoming their struggles and barriers. 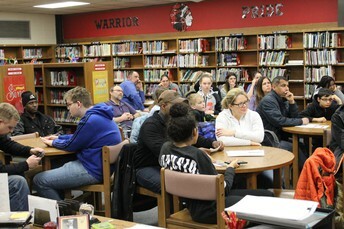 “They assist schools in connecting the families to these programs,” Wilson said. The schools identify families through academic, attendance, and behavioral records. Using those records allows the program to find out why the student is struggling. If the program understands what is happening in a student’s life, educators are able to help find solutions to the problems and requires them to look at the issues from a different standpoint, not limited to a discipline standpoint. “This Program offers assistance with mental health issues, attendance issues, family dynamics issues. employment assistance and much much more,” Wilson said. Once it is determined that a family is need of services and willing to participate, they are referred to Dunebrook’s Community Partners program. When Dunebrook receives the referral, an assessment worker will screen the family for eligibility and complete a needs assessment over the phone. Portage Township Schools is committed to helping families overcome any and all barriers in order for their children to prosper and be successful in school. 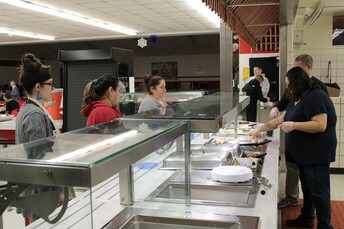 To learn more about the program, families can go to www.dunebrook.org and click on the Community Partners tab. 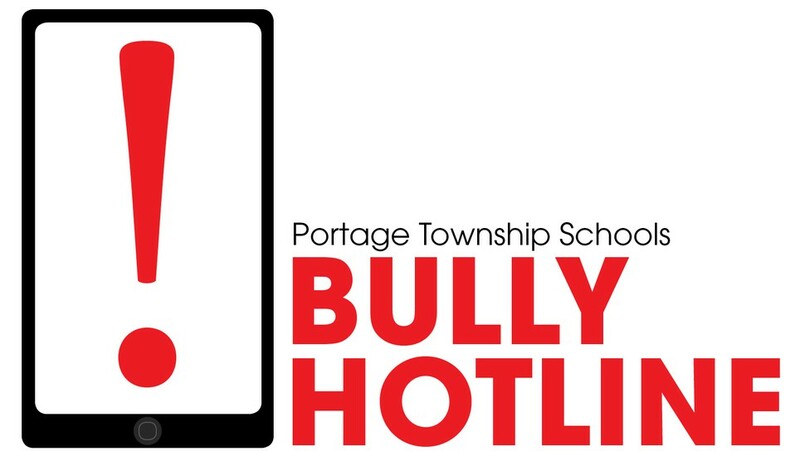 Portage Township Schools provides anonymous hotlines for students from each school who would like to anonymously report bullying. Each school has their own number, and principals and proper personnel from each school look further into each case presented to them. Click on the link below to look up the Bully Hotline number for your child's school. Students from Portage Township Schools participated in the Purdue University Northwest Elementary Math Bowl on Feb. 21 with other elementary school students in the area. This invitational competition is split up into five different classes of students: blue, green, orange, red and yellow class. Each team of students sits at a table with a view of a projector that flashes different math problems on the screen to solve. Each team is required to sit with a proctor to avoid any unfair cheating and must put their pencil down when the final buzzer sounds from the audio system. At each regional competition, there is an announcer who explains the rules and regulations to all students. Superintendent Amanda Alaniz took this role for the regional’s event. The elementary schools from the district that participated were Jones, Myers, and Kyle. Of these, Jones had the highest overall score of a 17 followed by Myers with a score of 16 and Kyle with an overall score of 15. 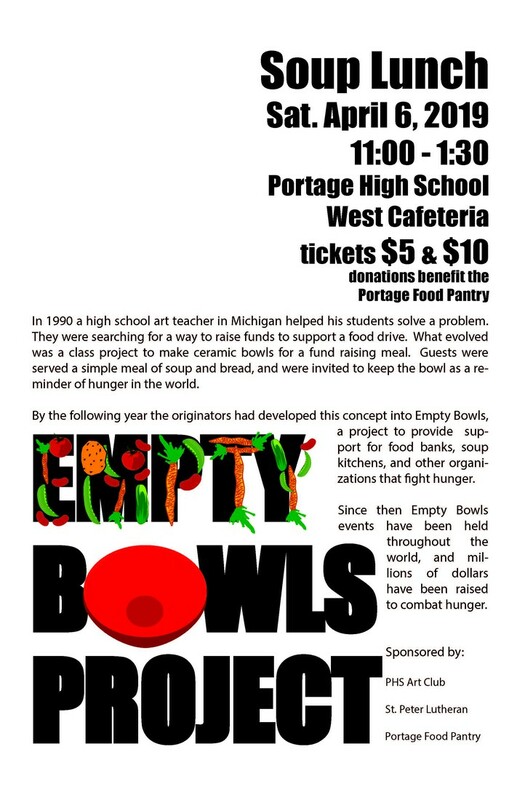 We are so impressed by our elementary students for making us Portage proud! In case of an emergency, it is important for teachers, students and parents to understand what to do in various situations where students or teachers could be in danger. This is why Portage Township Schools advises everyone to understand Porter County’s One County, One Protocol, the county-wide plan to keep our students safe. One County, One Protocol addresses a variety of school emergencies, such as an active shooter, intruder, weather emergency, fire, hazardous materials, bomb threats, and exterior threats. With this initiative in place, all law enforcement agencies in the county follow a standard response protocol. This is the idea that all law enforcement agencies respond to all school districts in the county in the same exact manner during an emergency. Using these protocols allows our local law enforcement agencies to respond to school emergencies in the fastest manner possible. All classrooms throughout Portage Township Schools contain a One County, One Protocol poster that details how students and staff are to respond to emergency situations. For example, if there is an active shooter in the school, the administration will announce that the school will be undergoing a lockdown. A lockdown is used when a threat is inside the school. The directive that students and staff will hear is “Lockdown. Locks, lights, out of sight.” which means that students are to be placed in an area in the classroom where they cannot be seen, all lights are to be shut off, and all doors will be locked. Students are also encouraged to use their best common sense depending on the situation. If they feel that it is not favorable to them to stay in the same place or to exit the building, then they are encouraged to do what they feel is necessary in order to stay safe, including defending themselves if necessary. In case of an emergency where all students need to be removed from the building, the reunification plan will be put into place. Students will be taken from the affected site to a unification site, and families will be notified via the school district’s messaging system. The process of reunifying students with their families will take some time, but it is vital that school personnel check the identification of all families and safely reunite them with their child. 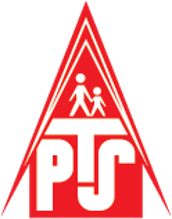 Although this is a topic that is difficult to discuss, it is important that all Portage Township Schools students, parents and staff are prepared for any type of emergency that could take place. For more information, watch the one county one protocol instructional video on YouTube. The class tale of a girl, her missing glass slipper, and Prince Charming is coming to the Portage High School stage this spring. 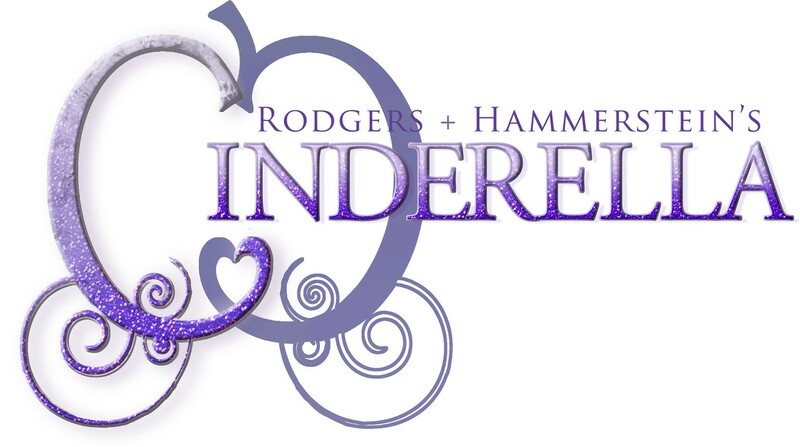 The Portage High School Thespians will be performing the spring musical, “Cinderella,” on April 12 and 13 at 7 p.m. in the East Auditorium. There will also be a special performance of the show on April 11 for senior citizens and elementary school students. Admission for adults (ages 18-64) is $8, seniors (65+) and students (12-17) is $6, and children ages 12 and under are $4. Theater director Mahaffa Thompson said the theater and band departments worked together to choose the musical this year. Thompson is hoping to put on a show that can be enjoyed by both children and adults alike. Minard has been involved with the Thespians all four years of high school, and is proud to have worked her way to the spotlight for her final show. Fegely Middle School held a family night called Eyes on the Future to inform students about graduation pathways and 21st Century Scholars. 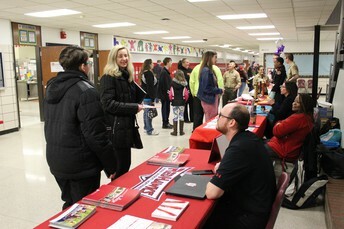 The event had different stations and booths set up to inform students about the various opportunities available to them both in high school and beyond. Purdue Northwest and Indiana University Northwest both attended the event; PNW talked about 21st Century Scholars and IUN talked about scholarship opportunities. All students at Fegely Middle School were invited to attend the event. 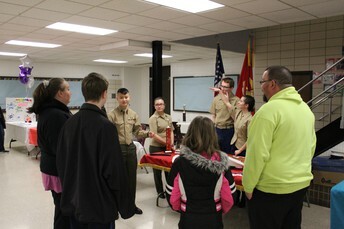 Other community partners attended as well, include Porter Hospital, Northshore, and the Portage MJROTC. 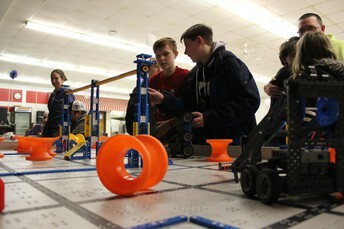 The event also had a spaghetti dinner to benefit Fegely’s robotics team. They worked alongside the Eyes to the Future night to raise funds for their program. 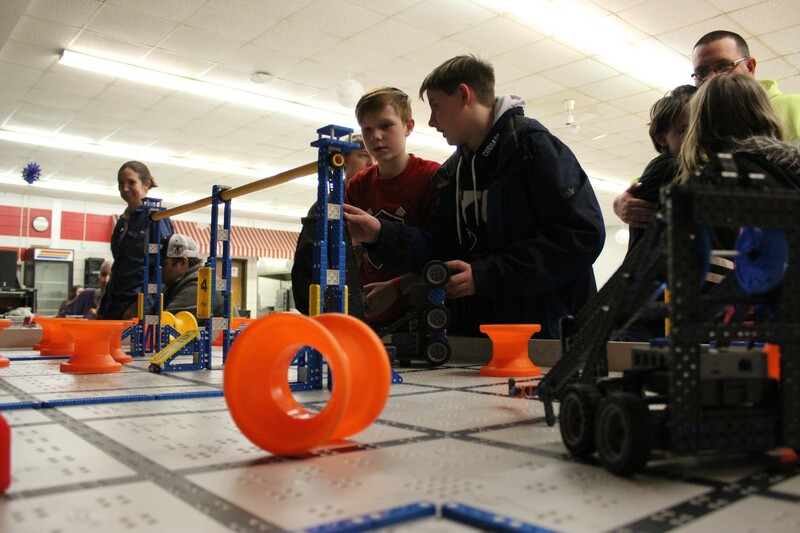 “We’re going to use the funds for more parts, for our registration fees, for all the stuff just for us to be able to go to competitions,” said robotics coach Troy Pawlak. At the competitions, students use robots to complete small tasks like hanging on a bar. This year will be the group’s first year competing. “We thought the dinner would do well to bring people in,” Fuller said. Fuller added that the event was important to help kids start to think about college. If students do not sign up for the program by June 30 of their eighth grade year, they lose the opportunity to get the scholarship. Parents can learn more information about the program or enroll their students at scholars.in.gov. Learn more about 21st Century Scholars here! Come see the amazing artwork produced by our elementary students at the annual PTS Elementary Art Show at the Portage Public Library! Stop by anytime during the library's open hours to view the work created by our talented elementary students.